ClickDealer - Affiliate CPA network reviews and details. 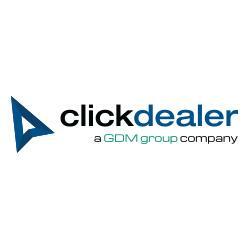 ClickDealer, of GDM Group company, is a cpa network which provides performance marketing solutions to publishers, advertisers, and marketing agencies all around the world. ClickDealer offers a totally comprehensive range of advertising services which fit any specific sets of KPIs of its clients. You can check ClickDealer reviews and Offers on Affbank and ask ClickDealer Team any question by using the contacts above, especially about how to earn money! Clickdealer is my all time favourite network. Offer is the key in affiliate world, what you want is a helpful AM who can time to time update & help you in selecting a good offer. Clickdealer is responsive and prompt in this. Remember 80/20 rule? Clickdealer may not the 20 but I think it is at least 10.
this is my first Network I worked with! I just wanted to make a good thing for them and say them - thank you. they supported me a lot and helped not to fail! ClickDealer pays on time. Their offers usually pay better. Their managers are above par when trying to help you. Solid mobile offers! Ran few profitable campaigns on display traffic. Affiliate manager is cool too! Clickdealer has paid me on time, every time for 3 years now.. Highly recommend these guys! great network..
Clickdealer is a really good network. My manager is Vlad, he is definitely a stand up guy and is always on the end of the phone or email to help me.They have high payouts their offers convert at a higher level than normal. everything is always on time. I dream to earn more, and I work for it a lot, and a clickdealer helps me in it! My first network when I started out in pops was Clickdealer, they have a wide range of PIN submits that are good for beginners and experienced affiliates alike. I made my first real affiliate income here!